The USGA Course Rating System™ is the standard upon which the USGA Handicap System™ is built. It affects all golfers in the calculation of a Handicap Index®. Players "play to their handicaps,"when their net scores (gross score-handicap strokes) equal the USGA Course Rating™." 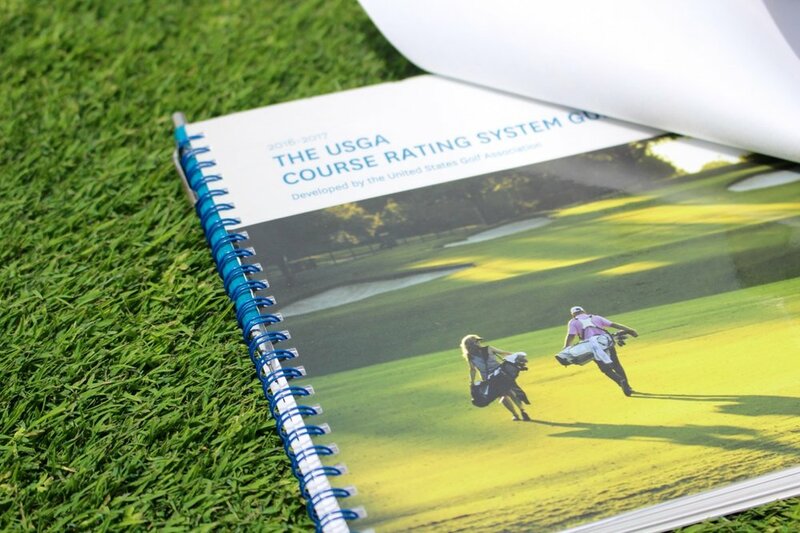 The USGA Course Rating System takes into account the factors that affect the playing difficulty of a golf course. Course rating teams from authorized golf associations carry out the on-course portion of the rating process. Authorized golf associations review the work of the teams and then issue ratings. The rating must be composed of a minimum of three trained and experienced raters, with one designated as the team leader. The team leader must have attended a course rating seminar conducted by the USGA. Do not serve as a team member when your home course is being rated. Do not play the course while rating it. Shots may be hit from various positions when rating to assist evaluations . View each holes from the teeing ground, the landing zones of a scratch and bogey golfers, and the green. Rate the obstacles in accordance with the guidelines established in “The USGA Course Rating System Guide,” not based on how you would play the hole. Do not discuss obstacle values while evaluating a hole. Values should be discussed with the team leader after each team member has completed rating a hole. The Green Target may be agreed upon before rating the other obstacles. Do not record obstacle values on Form 1 until the hole has been evaluated from all positions. Attempt to agree within one unit on the rating of each obstacle. The team leader has the responsibility of ensuring that the team members reach an agreement. The leader’s decision is final. Takes about four hours to rate an average 18-hole course. Do not divulge the course rating results to a club. Ratings are subject to review by a Course Rating Review Committee before the ratings are final.